As an affiliate of Crum and Forster, this business is also found under Fairmont Specialty Insurance Company as determined by a Fairmont Premier Health Insurance Company Review. This is the name for the company’s California location, although the same group may be registered under another name in another state. This is a common recurrence in the insurance industry. To get health insurance quotes today, enter your zip code here to begin online comparisons with no obligation. 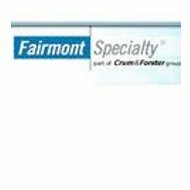 These companies support Fairmont Premier Insurance Company of California and its health insurance division. This company has an “A” excellent rating with A.M. Best, the most reputable insurance company-rating source. Fairmont Premier’s niche in the industry is property and casualty, written in the form of business or commercial policies in addition to its accident and healthcare coverage. The company is stable enough to offer surety bonds and reinsurance services. Personal lines are only offered in the state of Hawaii. Commercial groups are offered healthcare through group coverage where high risk is shared. Personal lines, only offered in Hawaii include umbrella protection, which is an extension of a personal policy. It covers the policyholder with general liability in most cases, or surety bonding. Blanket special risk groups may include customized coverage for travel groups, youth, or any type of special interest coverage. Travel coverage may be for business, exchange students, or expatriates. Standard medical coverage covers several bases for Fairmont Premier Insurance policyholders. Most plans are either HMO or PPO which most know as a health maintenance organization or provider preferred provider organization. Fairmont Premier operates on a HMO system. Provider excess coverage is for doctors, hospitals and other providers who have limits on the amount of primary coverage for malpractice lawsuits or errors and omissions. Medical excess is a stop loss type of coverage, which does the same thing essentially. It covers excess liability over and above the primary limits. These are other plans under standard coverage. These are just some of the services associated with breakout type services. There are many more if you can imagine some similar to hospice care, and anesthesia in addition to those listed. Standard medical insurance is designed for Medicare and Medicaid government programs. It also covers organ donations and transplants, which is available as a supplement to reinsurance and stop-loss services, or excess coverage. It is also available as a stand-alone product of Fairmont Premier Insurance. Accident and dismemberment is also a product may be an addition or may stand-alone. This type of coverage is also made available in travel plans and short-term plans like those associated with summer camp, school related travel and activities as well as business and leisure travel. Fairmont Premier’s website is built to provide its policyholders and agents with convenience. Forms are made available for whatever you might need to fill out and submit to your agent. You can also contact your agent anywhere in the country with the online contact and comment form. Fairmont Premier Insurance Company, formerly Ranger Insurance Company improved its 2004 “B+” rating by A.M. Best. It does not have many lawsuits noted on record, which is indicative of the company’s improvement. However, there are a couple of court cases involving Fairmont Premier, which is evidence that although it has improved, there is yet room for more. To get online health insurance rates for yourself or your business, enter your zip code here to start the process.